You can follow Bob on his world record flight around Australia by checking out his live tracker. The tracker has chartered Bob’s progress since he departed from Devonport on April 15. He is expected to return to Tasmania on May 7 after his 15,000km journey. Bob Bramley plans to become the youngest person to circumnavigate Australia solo by plane. 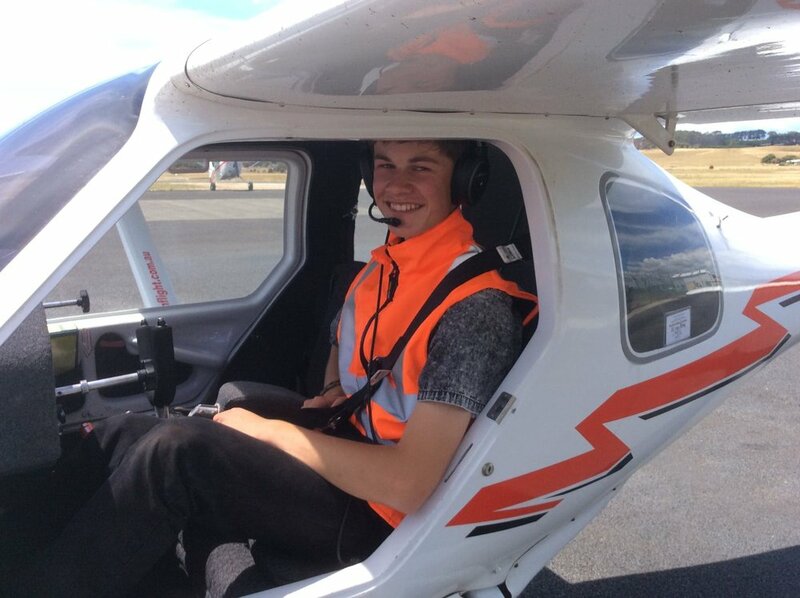 The 16-year-old will use his world record attempt to raise awareness about youth suicide prevention by working with beyondblue. Bob almost lost two of his close friends to suicide in late 2017 and hopes to promote positive discussions about mental health as he flies to communities across Australia. Bob’s flight will take him on a 13,000 kilometre journey across Australia. He will land at 30 different airports, from urban centres like Sydney to remote airstrips in Western Australia. He takes off in April 2019 and hopes to beat the record set by Hobart pilot Oliver O’Halloran in 2017. Bob's flight wouldn’t be possible without the generous support from Westpac and other Australian businesses. He still needs to raise $12,000 before he can take off. Find out how you can get involved.